One year ago, my “normal” was sleeping as late as I possibly could, dreading the coming day before I even got out of bed…if I got out of bed. I was stuck in an endless cycle of emotional and binging eating, self loathing, and deep depression. Bottom line, I was miserable, unhealthy and unhappy. I let my self get to that point and it was “easier” for me to say I didn’t care. I knew deep inside that I wasn’t happy, I doubted that I could change, but knew that I could try. This didn’t come right away, the motivation came in waves, each one stronger than the last. Like the volume on the radio, in the other room, was being continually increased until you couldn’t hear your self think. I had the motivation, it was definatly there and I had gotten so sick and tired of hearing it, but not acting on it. There wasn’t a specific moment where the light bulb flicked on, it was gradual, leading to where I am now and the decision to change everything about my life, for the better. 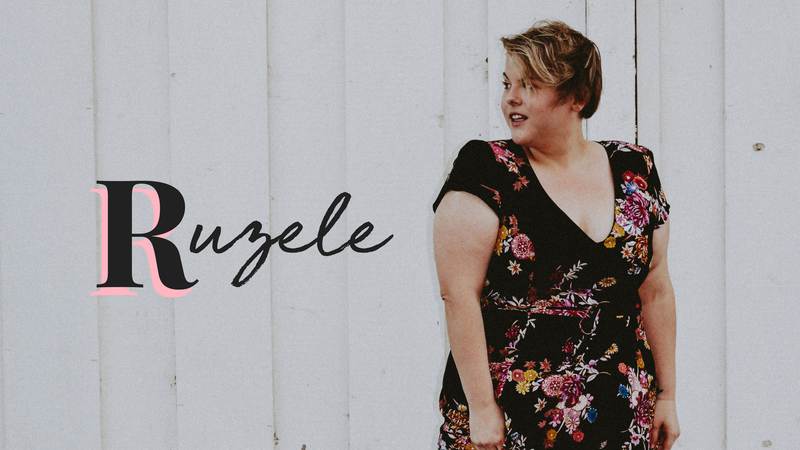 My name is Ruzele, I am 20 years old an live in Utah with my family. I am currently working, and planning on going back to college fall semester of 2015 to study new media and marketing. This blog is to document my experience of changing what my definition of normal is. I am on a new found journey of weight loss and becoming healthy and happy. I also have a youtube channel where I post vlogs and videos chatting about different subjects. I hope that you will join me on this journey to becoming happy, don’t hesitate to leave comments/ suggestions for me, as I am new to this.